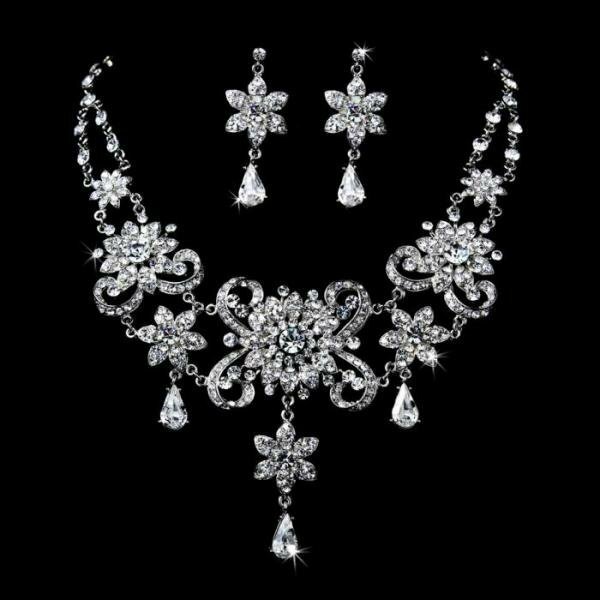 Silver plated flowers weave throughout sparkling clear rhinestones in this stunning bridal jewellery set. 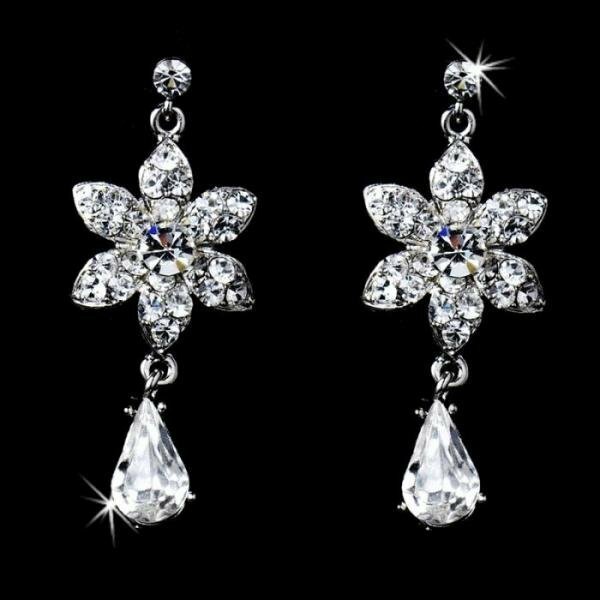 Simple and floral, the set is an idyllic addition to your wedding outfit. The necklace measures 42 cm long with a 10 cm extension. The ornament measures 8 cm tall, and the earrings fall to 4.5 cm.